Brody is a town situated today in eastern Galicia in the Ukraine, an area that before WW2 was a part of Poland. 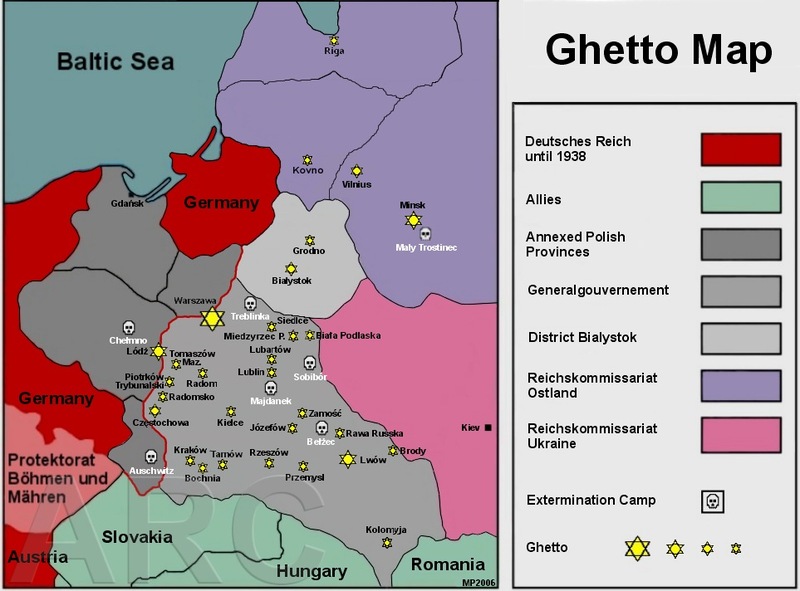 The total population in 1939 was 22,000 of whom about 10,000 were Jews and the remainder Ukrainians and Poles. The Jewish community in Brody was very famous – on the one hand it was a renowned Galician Hassidic centre, yet at the same time at the beginning of the 19th century Brody also became one of the first locations of the Haskala (Jewish Enlightenment) in the province. The prominent Jewish-Austrian novelist Joseph Roth came from Brody. 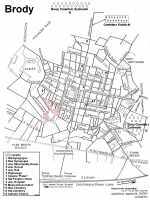 The town itself was also well known, since in the 18th century it was major trading place, and in the 19th century, because of its location close to the Russian border, many Jewish refugees travelled through Brody fleeing from Russian pogroms. From September 1939 until 1 July 1941 the town was under Soviet occupation. At that time some Jews collaborated with the Soviets and others, mainly wealthy people, were prosecuted and deported to Siberia. Before the German army entered the town, Brody was bombed for eight days. Many houses were completely destroyed and the Soviet army evacuated the town in panic. German units captured the town on 1 July 1941 and were warmly welcomed by the local Ukrainian population. From the beginning of the occupation the Jewish apartments were plundered by German soldiers and their Ukrainian collaborators. As early as 7 July 1941 an "action against the Communists" was organised in Brody. In practice, Jewish intellectuals were arrested (in some cases together with their entire families) and on that same day about 250 of them were executed at the Jewish cemetery. On the day following the executions, the first Judenrat was established from among the Jewish intelligentsia who survived the "action". The first president of the Judenrat was Dr. Bloch, who before the war had been a director of a local bank. According to the testimonies of survivors the first members of the Judenrat were quite decent, but later the Gestapo replaced many members of the Judenrat and very quickly this institution became simply an instrument for implementing German policy. Together with Germans and Ukrainians, many members of the Judenrat, as well as Jewish policemen, participated in the plunder of Jewish property. The German civil administration ordered the payment of three "contributions" by the Jews. Apart from money and valuables, the Jews had to supply the German offices and houses with furniture, clothes, shoes, linen and even coffee. 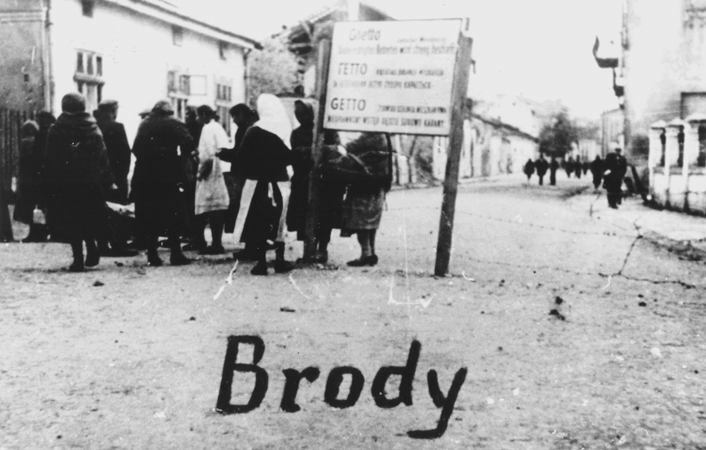 Although a closed ghetto was not established in the town until December 1942, the Jews of Brody were not permitted to walk on the main street and they were only allowed to shop for one hour per day – between 10 a.m. and 11 a.m. All Jewish shops were confiscated and given to Ukrainians. In January 1942, work camps for Jews were created near Brody at Jaktorow, Sasow and Laski. 430 young men from Brody were sent to these camps. In the first half of 1942, the aggregate of Jews imprisoned in these camps rose to about 1,500, but their number dwindled rapidly in the second half of 1942 due to the high death rate caused by mistreatment, starvation and disease. Jewish women worked mainly in the manors near the town. When rumours spread about the first deportations, the Jews paid large sums of the money to acquire work cards. At the same time, people began to construct shelters in their homes. The first deportation from Brody to Belzec took place on 19 September 1942. Germans (including members of the civil administration under the command of Landkommissar Weiss), Ukrainian police and some civilian Ukrainians and Poles, who looked for hiding places in the Jewish houses, participated in the "action". The Jews were gathered on the market square and from there were led to the train. Many people were shot in their houses or on the streets. 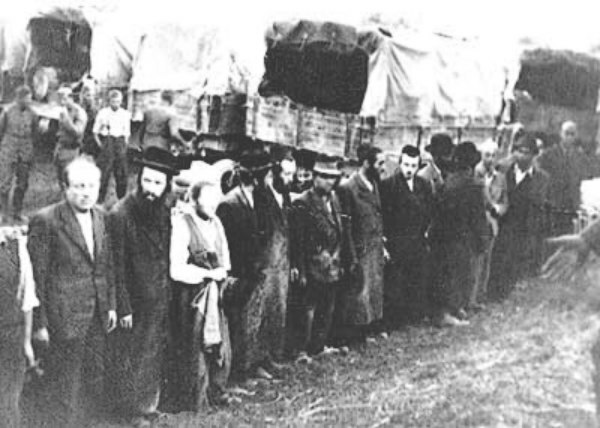 On that day 4,500 Jews (other sources suggest 2,500) were deported to Belzec. A second deportation was organised on 2 November 1942. Together with 2,500 - 3,000 other Jews, members of the Judenrat and Jewish policemen were deported at that time to Belzec. "Railway workers from the trains that carried people to the camp told about Belzec. 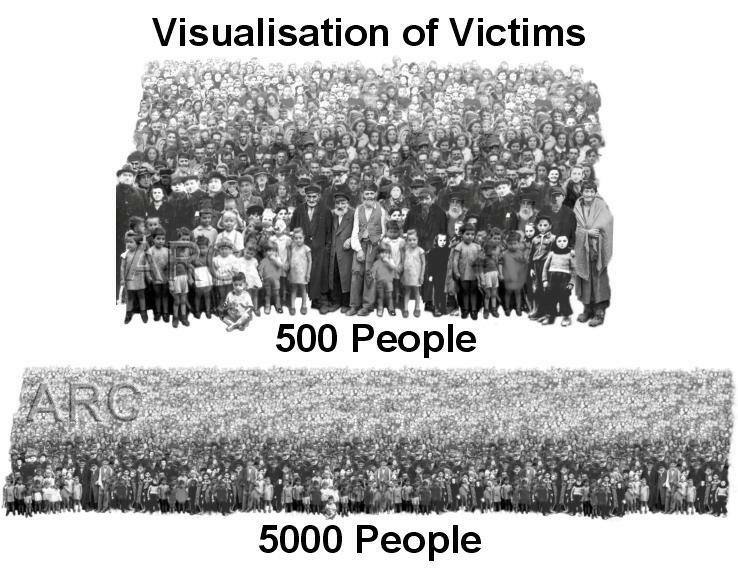 They described that there is an iron floor on which people are placed and electricity kills them." 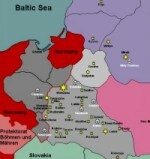 Rumours about using electricity for the killing of Jews in Belzec abounded at that time in the whole of eastern Galicia. "Whoever works for me needs to be treated honestly, no matter if they are a Jew, a Pole or a German." Of course, this work in the forests could only help in the short term, but still it was of great value during the deportations. Both Hassensteins were arrested by the Gestapo in 1943 when somebody denounced them for sheltering in their attic a Jewess who had jumped off a death train. During the "actions" in the town Liselotte Hassenstein had frequently hidden Jews in her attic. The Hassensteins were taken to Lwow and sentenced to two years imprisonment. Mrs. Hassenstein was released from prison because she was in bad health, but was still sent to KZ Ravensbrück to complete her sentence. After the second deportation, on 1 December 1942, a closed ghetto was established in the town. About 4,000 local Jews and 3,000 Jews from neighbouring towns and villages such as Sokolowka, Lopatyn, Olesko and Radziechow, were incarcerated on two streets: Browarna and Slomiana. The office of the Judenrat was situated outside of the ghetto, on Boznicza Street. The ghetto was surrounded by barbed wire and completely overcrowded. Because it was not permitted to have any contact with the non-Jewish inhabitants of the town, most of the Jews starved. Only those who worked outside of the ghetto had the possibility of smuggling in some food, but it was not enough. The members of the Judenrat confiscated almost all of the smuggled food for themselves and their families. Officially, the daily portion of bread for everybody in the ghetto measured 80 g. There was a kitchen in the ghetto for poor people, but even there people had to pay for food. The price was not great, but in a situation in which most of the people had no money, only relatively wealthy individuals could afford to eat the soup in the people's kitchen. At the same time there was a typhus epidemic in the ghetto. During the winter of 1942/1943, about 1,500 Jews died in Brody from starvation and typhus. 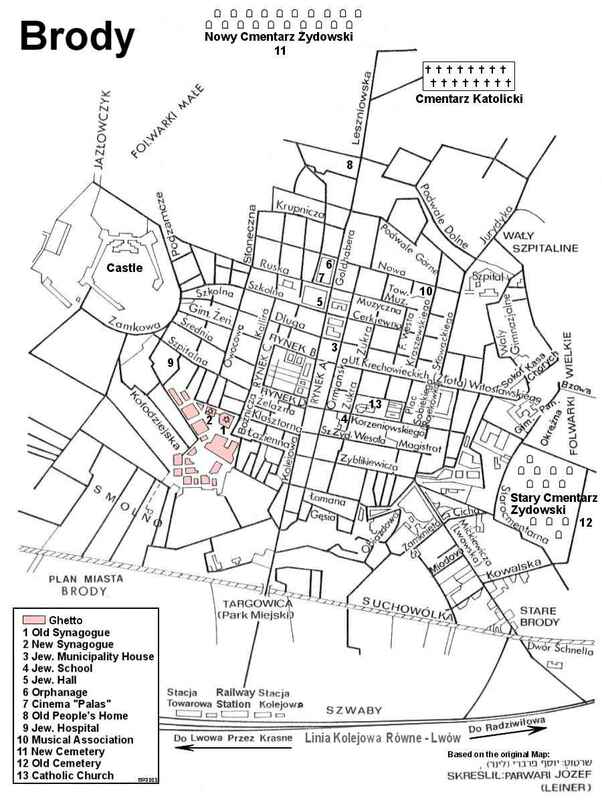 At the beginning of 1943 a resistance group was organised in the ghetto. The leader was Samuel Weiler. The resistance organisation made contact with the Polish underground, a unit of the Polish People's Army from whom they obtained several guns. The Jews wanted to organise resistance in the event of the liquidation of the ghetto. Some of the members of the group decided to escape to the forest prior to the liquidation. In addition, other Jews who were not connected with the resistance decided to escape from the ghetto in the certain knowledge that the next "action" would be the ghetto's final liquidation. In the Pianica forest a so-called "family camp" was organized, where 80 - 200 Jews from Brody were hidden. 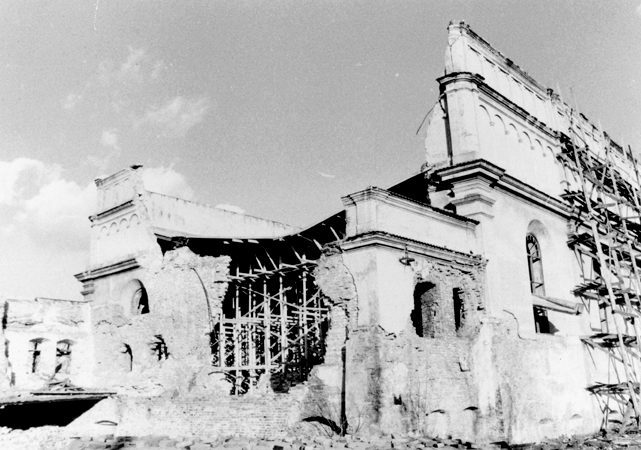 The final liquidation of the ghetto occurred on 21 May 1943, in the course of which members of underground organisation opened fire on the Ukrainian policemen and Germans. Several Ukrainians were killed. The Germans set fire in the ghetto and many people were burned alive. Others were executed on the streets or in the forest near the town but in the chaos that ensued, many Jews escaped from the ghetto. Among them were some members of the resistance, led by Weiler. He survived the war in a partisan unit. Of the many people who tried to escape only a very few survived with the help of Poles and Ukrainians. In this final deportation, more than 3,000 inmates of the ghetto were probably sent to Sobibor. From the entire pre-war Jewish population of 10.000 in Brody, only 88 people survived until the liberation. Mass shooting of at least 100 Jews at an unknown location in the Kiev area (near Polonnoye), and approximately 60 Jews in Brody. Brody Map: Ner Tamid: Yizkor leBrody (An Eternal Light: Brody Memorial Book), Israel, 1994. Archive of the Jewish Historical Institute in Warsaw. Testimonies by survivors.